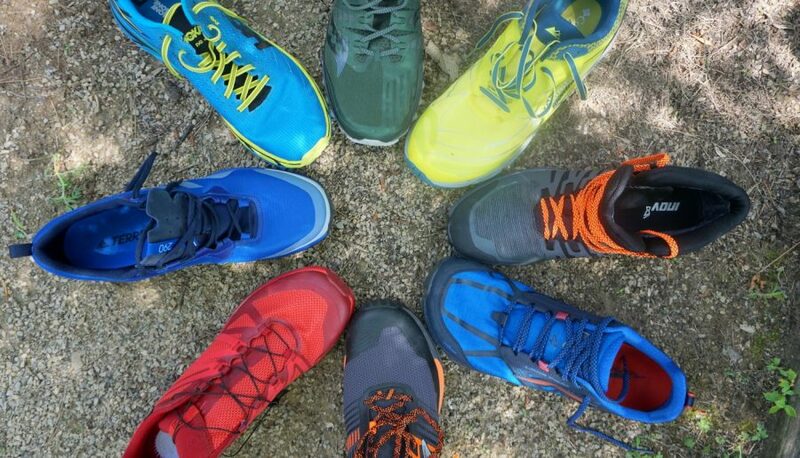 This round of testing brings together eight trail running models in the Comfort & Protective subcategory. 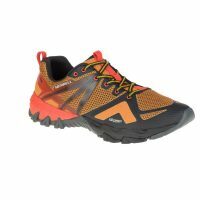 They’re distinguished from Lightweight Trail shoes by their stack height (typically 25-35mm in the heel), heavier weight, stable ride, and comfortable fit. 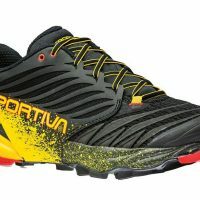 These are the trail shoes you pull out for a multi-hour training run in the mountains or an ultramarathon race – some of them even double as lightweight hiking shoes. Our wear-testing team is spread across the country, from the desert southwest to mountainous Colorado to New England and the frozen tundra of northern Wisconsin. 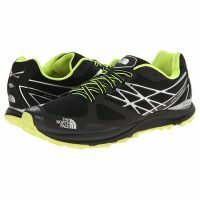 They put in many hours and 20-80 miles testing each shoe on a variety of trails and types of terrain. Each shoe was evaluated on six categories: comfort, speed, security of fit, agility, responsiveness, and protection. To dig a bit deeper, the shoes in this round of testing have a wide range of features and details. 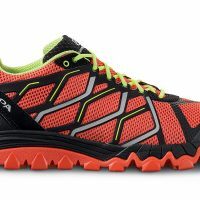 There are models from traditional running mainstays like Brooks and Saucony, as well as some of the biggest new names in trail running like Hoka One One. 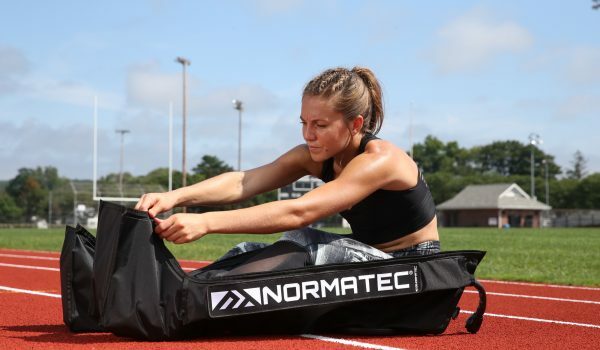 Some are updated versions of models that have been around for a few years, while other models in the test are brand-new introductions to the field. 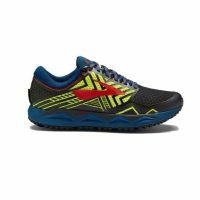 Some try to perfect the versatile trail shoe; others try to stand out from the crowd with innovative, distinctive features like an wide toe box and zero-drop platform. 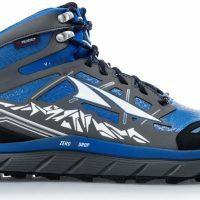 Some of the models in the test are all-arounders to lace up for any sort of trail, while others hit a specific performance niche (a waterproof mid-top runnable hiking boot for only the gnarliest terrain, for example). 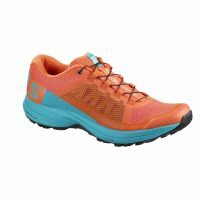 The new Skechers GoTrail Ultra 3 is the successor to last year’s GoRun Ultra road/trail hybrid, but it’s a full revamp of the shoe with substantial changes. 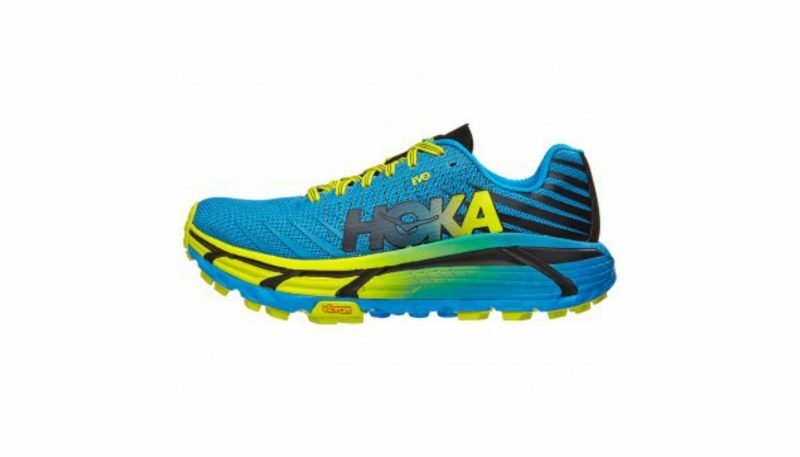 The maximalist sole has innovative drainage ports and new rubber, while the segmented sole gives it the flexibility similar high-stack models from Hoka are lacking. At just under 11oz for size 9, it’s surprisingly light, and our wear-testers universally described it as supremely comfortable to wear. 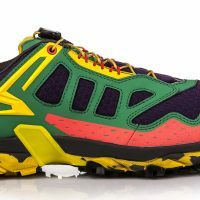 Reactions to its performance on the trail were mixed, however, with some wear-testers describing it as a solid choice for off-road ultras while others found the maximalist sole energy-sapping, unstable and distracting. 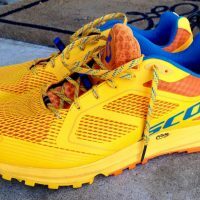 As they put each shoe through its paces, our wear-test team tried to answer a range of questions. The answers help them evaluate the shoe and compare it to others in the test. 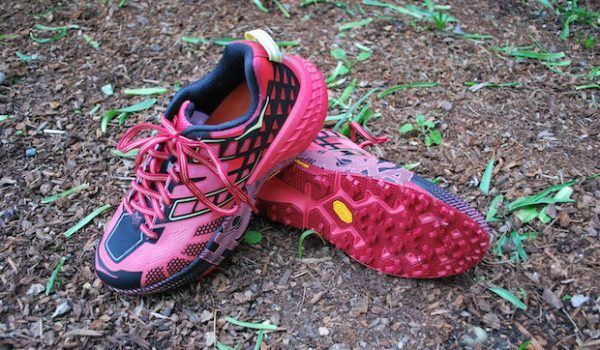 We try to ask exactly the same questions you’d be asking about your own trail running shoes. Are they comfortable straight out the box, or do they need a break-in period? 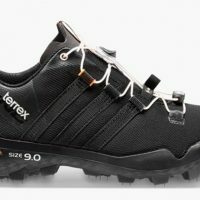 How well do they fit, and how secure does your foot feel on the trail? What sorts of terrain do they perform best on, and can we identify what features or details explain it? 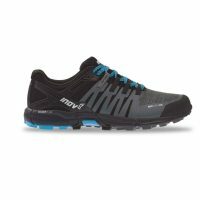 Since they’re trail shoes, where do they grip, and where do they slip? What are their strengths, and what are their points of weakness? When we try to turn up the pace, how well do they respond? On the trail, do they feel lively and nimble, or sluggish and slow? When we put long runs into them, do they feel as good at the end as they do at the beginning? 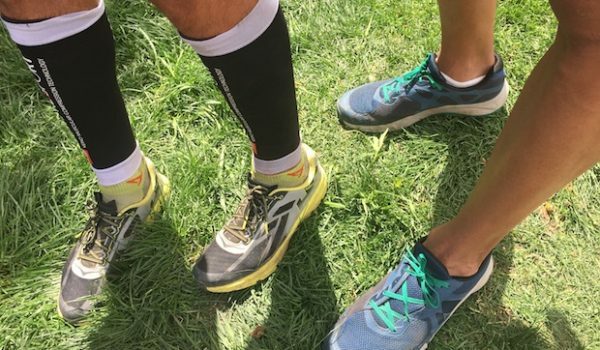 How do we feel the morning after a long run in them? Any noticeable wear after a few runs? When the round of testing is over and all the reviews are uploaded, which pair do we want to postpone boxing up so we can keep running in them? 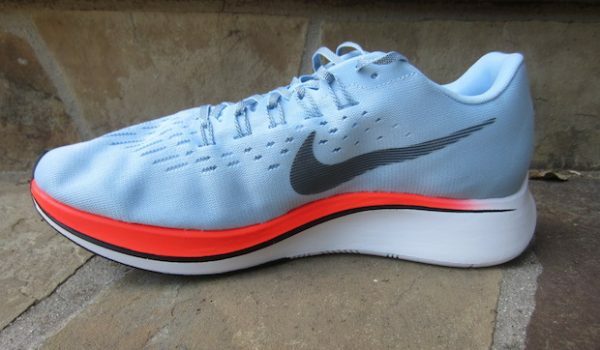 We’re also looking carefully at each shoe’s specs, design, and construction details. Shoes in this category typically have relatively high stack heights (in this round, they range from 21mm heel/17mm forefoot all the way up to 34mm heel/30mm forefoot). They often have plush uppers with a combination of breathable mesh panels and overlays for support. 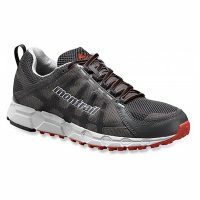 The heels are typically firm to rigid, and the front of the shoe often has a wraparound bumper to protect vulnerable toes against errant rocks and unexpected roots. A comparison of heel cups. Saucony Xodus ISO 3 (left) and Brooks Cascadia 13 (right). There can be substantial variation between shoes in this category though. 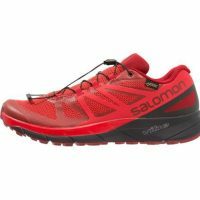 Some that we tested have relatively low outsole lugs, and could easily double as a comfortable trail/road hybrid shoe. 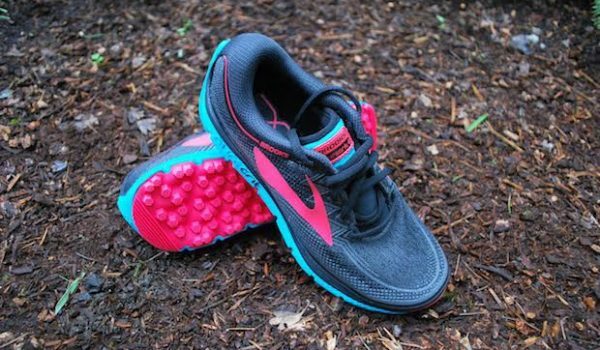 Others have outsoles with deep, aggressive lugs that claw into soft ground and grip tight on rock-strewn trails. Some of the shoes we tested have relatively large 8-10mm heel-to-toe drops, while others are built on a much smaller 0-4mm drop platform. 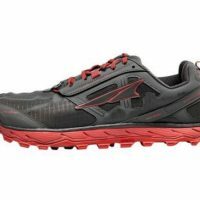 To deal with sharp rocks and trail obstacles, some have a stiff rock plate embedded in the midsole, while others rely on firm foam and a high stack height to protect the bottom of the foot. Comparison of outsole designs and lugs. 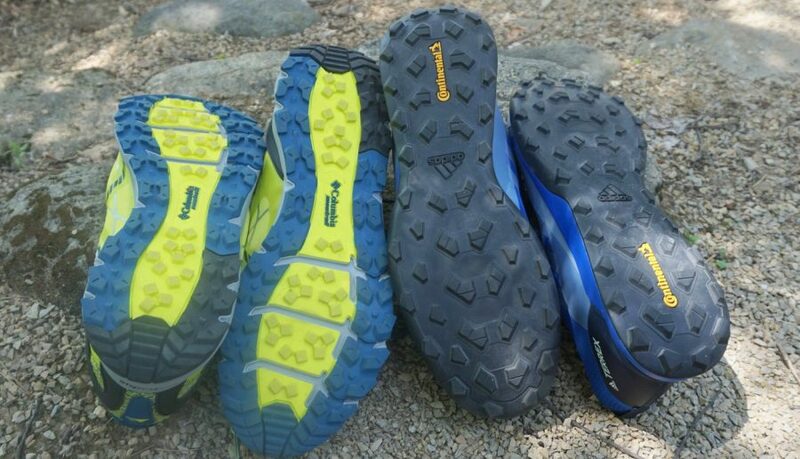 Columbia/Montrail Caldorado III (left) and Adidas Terrex CMTK (right). 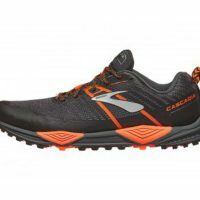 Because there’s a lot of technology and material in these types of trail shoes, they tend to be more expensive than the average running shoe. 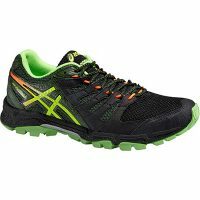 MSRPs for the shoes in our test ranged from $100 at the low end to $170 for the highest-priced model. A higher price does not necessarily mean better performance, and the highest-scoring models are not necessarily the most expensive. Comparison of toe boxes and toe guards. 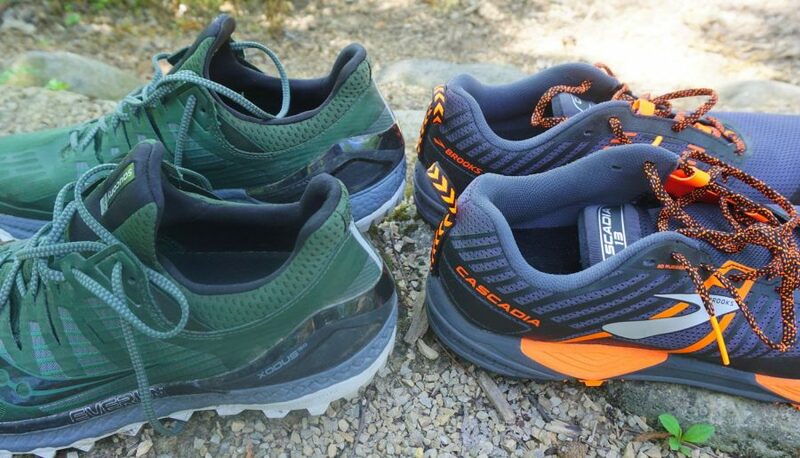 Salomon Sense Ride GTX (left) and Altra Lone Peak 4.0 (right). Here our wear-testers are looking for the overall fit of the shoe, cushioning and breathability. Comfort is a function of the materials used, the way the shoe is constructed, and the manufacturer’s design choices. 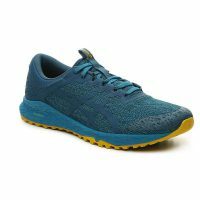 A comfortable trail shoe ought to feel plush inside the upper, not overly restrictive around the midfoot and toe box, and almost unnoticeable on the trail. 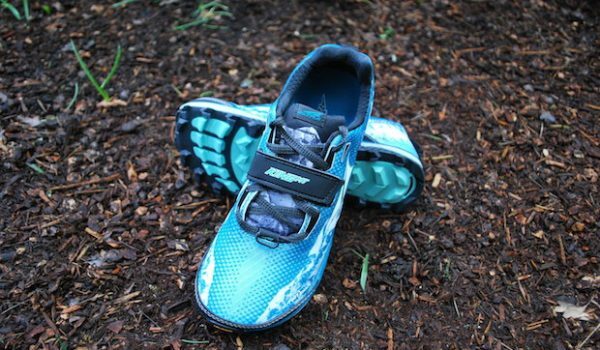 Some trail shoes in this round of testing had seamless construction thanks to welded (not sewn on) overlays, and some had uppers constructed of an entire sock-like bootie. 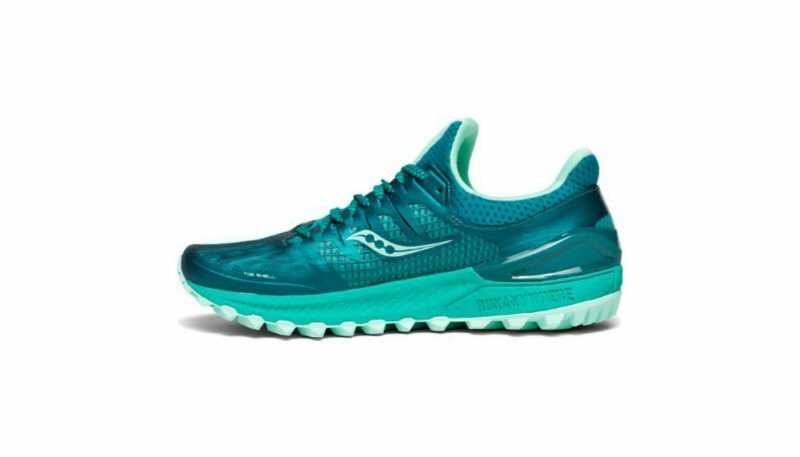 One of the most comfortable shoes in this round of head-to-head testing was the Saucony Xodus ISO 3, which has a plush, stretchy upper and cushioned midsole. 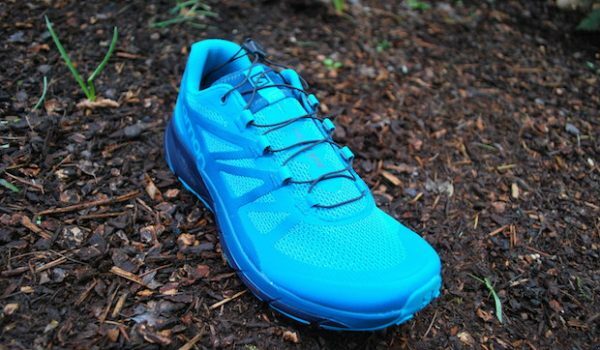 Our wear-testers are also looking for how speedy the shoe feels on the trail, and in what types of terrain. One shoe might feel fast on smooth-rolling gravel, while a different shoe with different features feels speedy when bombing down technical descents. 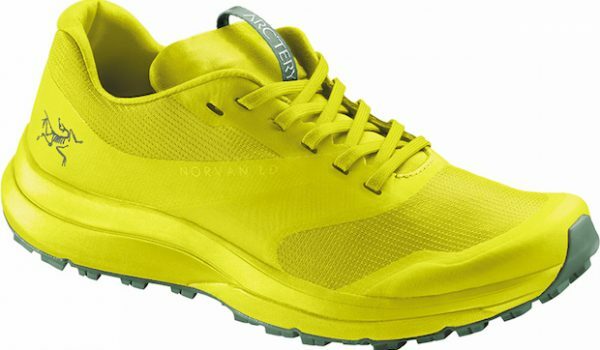 We’re looking for shoes that feel light on the trail, with a quick turnover and efficient footstrike (as opposed to a plodding, sluggish stride). 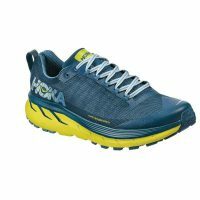 One of he speediest shoes in this round of testing was the new Mafate EVO from Hoka, which all of our wear-testers praised for its nimble, quick feel on the trail. Comparison of midsoles and stack heights. 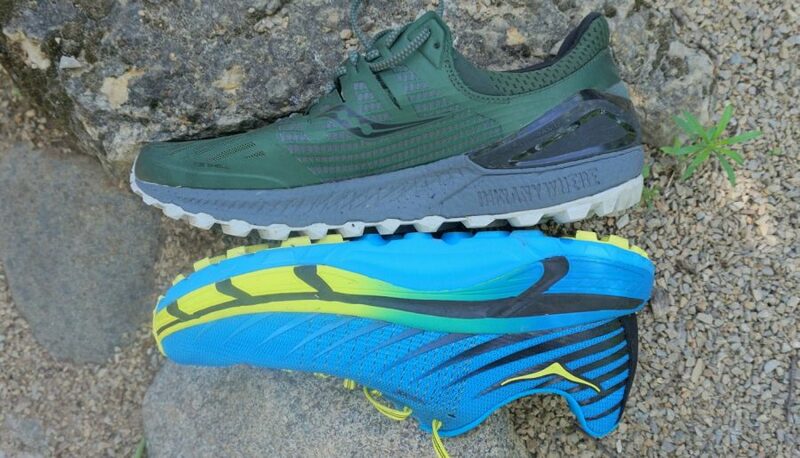 Saucony Xodus ISO 3 (top) and Hoka Mafate EVO (bottom). Here, we’re looking for how well the foot feels locked-in and secure. 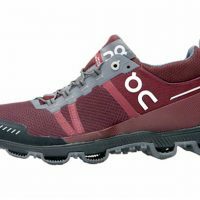 A good trail shoe ought to have supportive uppers that keep the foot from sliding around, with no heel slip. 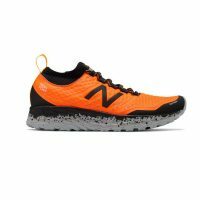 The shoe needs a secure fit to confidently clear trail obstacles like rocks and roots, as well as off-camber sections and steep ascents/descents. A shoe that doesn’t fit securely isn’t a shoe you can feel confident or fast in. 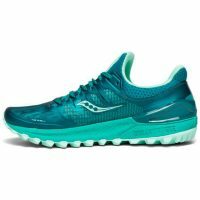 In this round of testing, the model that offered the most secure fit was the Saucony Xodus ISO 3. 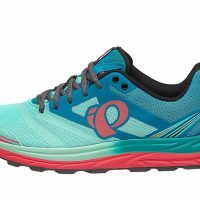 The new Xodus has a snug fit combined with supportive overlays in the upper and a firm heel cup to hold the foot exactly where it should be. 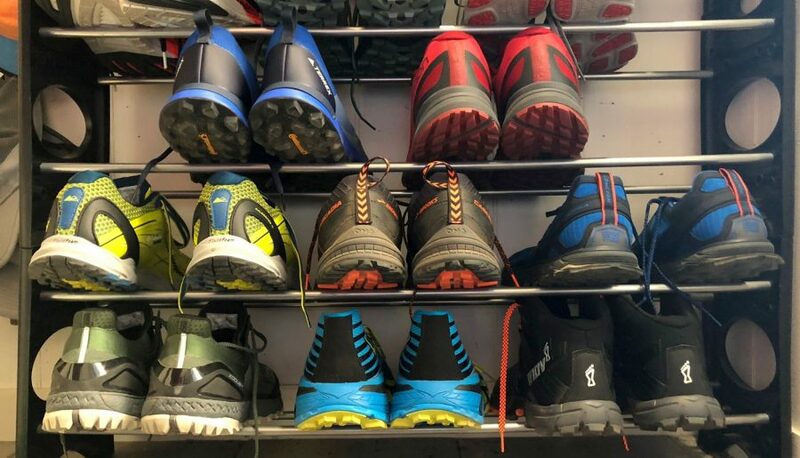 Our wear-test team put in miles across a range of different terrains, and each shoe was evaluated on how well it handled rocks, roots, loose gravel, hardpack, wet ground, soft ground, snow, ice, and other types of surface conditions. 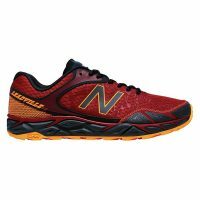 A shoe’s agility is related to how well it handles a variety of different types of technical terrain without losing grip or forcing the runner to slow down. 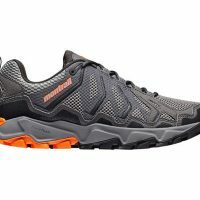 A lot of this depends on the shoe’s outsole material, lug placement, lug depth, and lug design. 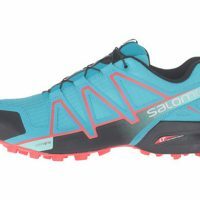 The highest-score, most agile shoes in this round of head-to-head testing are the Salomon Sense Ride GTX and Brooks Cascadia 13, both of which have aggressive outsoles that handle a wide range of trails with ease and confidence. 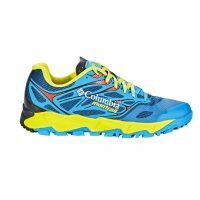 Cushioned & Protective trail shoes cover a wide range of models, features and technologies. Here, our wear-testers are looking for a shoe’s energy return. 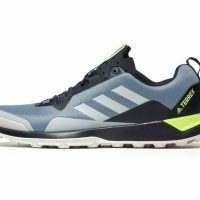 When they run, and especially when they turn up the pace, they’re looking for how well the shoe responds with a lively reaction. 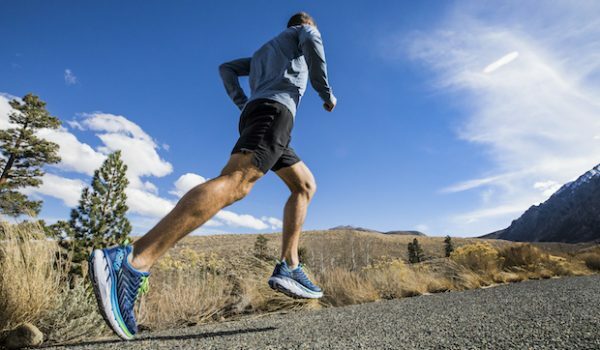 Shoes with poor responsiveness are often described as marshmallows – i.e., the runner sinks into them instead of easily bounding forward down the trail. 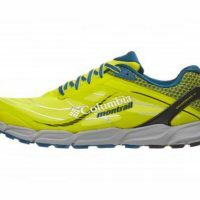 The most responsive shoes in this round of testing were the Saucony Xodus ISO 3 and Columbia-Montrail Caldorado III, both of which have snappy, lively midsoles that our wear-testers described as fun to run in. 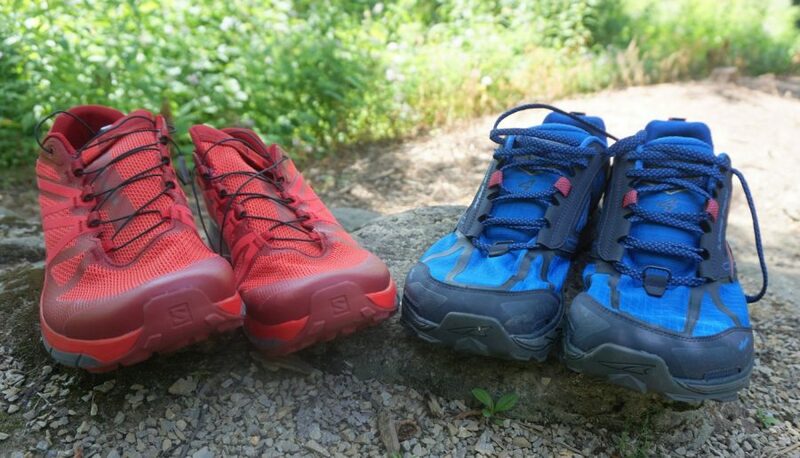 Finally, our wear-testers looked for how well each shoe protected the foot from trail obstacles like rocks and roots. 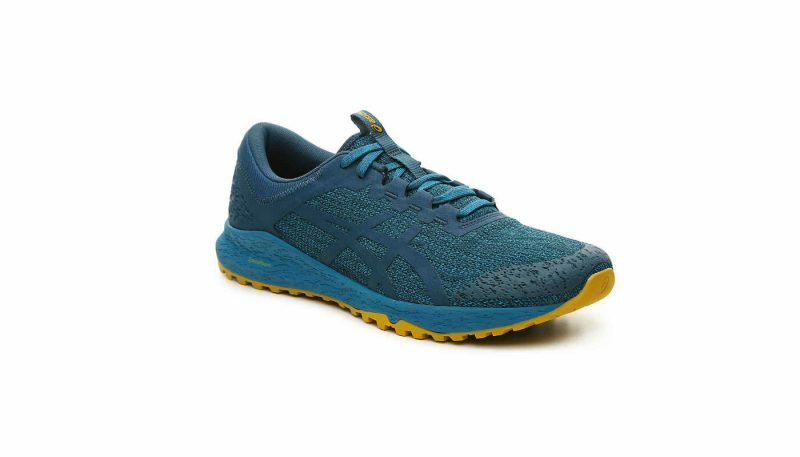 We looked for structural design features like the presence of a rock plate embedded in the midsole and a full-coverage, durable rubber outsole without exposed sections of foam. Some models also protected feet with high stack height rather than an embedded plate. We also looked at the uppers, including how protective the front-end toe bumper is, how well the overlays protect the sides of the foot, and whether the mesh prevents dust and trail debris from getting into the shoe. Some of the shoes we tested have built-in hooks for gaiters, which are an optional ankle cover to give even more protection from dirt, thorns, dust and small rocks getting into the shoe. 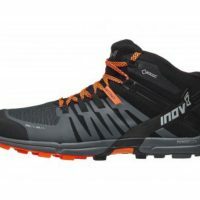 The most protective shoes in this round of testing were the Brooks Cascadia 13 and Inov-8 RocLite 320 GTX, both of which offer impressive armor against trail obstacles. With those six categories in mind – comfort, speed, security of fit, agility, responsiveness, and protection – our team of wear-testers put the eight models head to head. 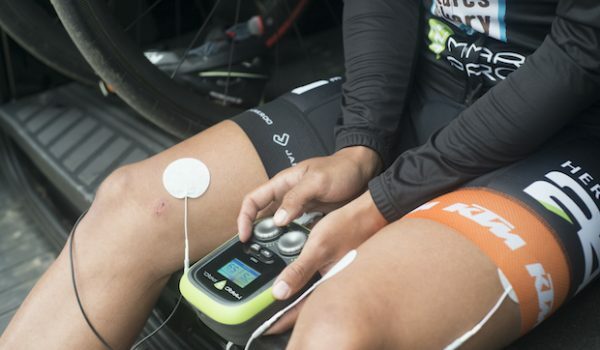 We tested them on gently rolling singletrack, in the mountains, in the muck, over fallen trees, powering up technical climbs, through the ice and snow, and flying down steep descents. 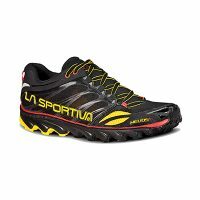 We tested them on easy training days and in tough ultramarathons. 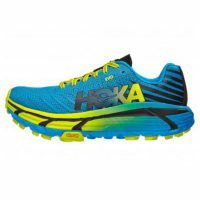 When it all shook out, the Hoka Mafate EVO stood on top, with the Saucony Xodus ISO 3 close behind. 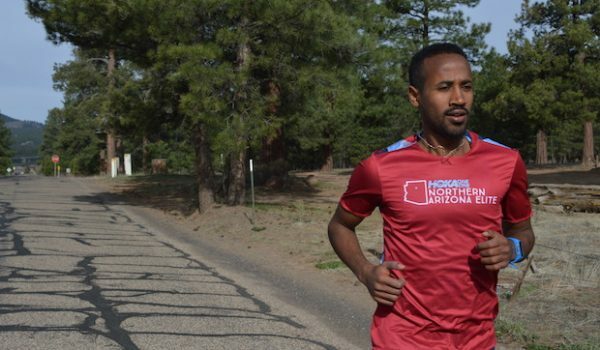 However, we recognize that runners with specific needs may find that shoes lower on our score-sheet may be right at the top of their personal list. 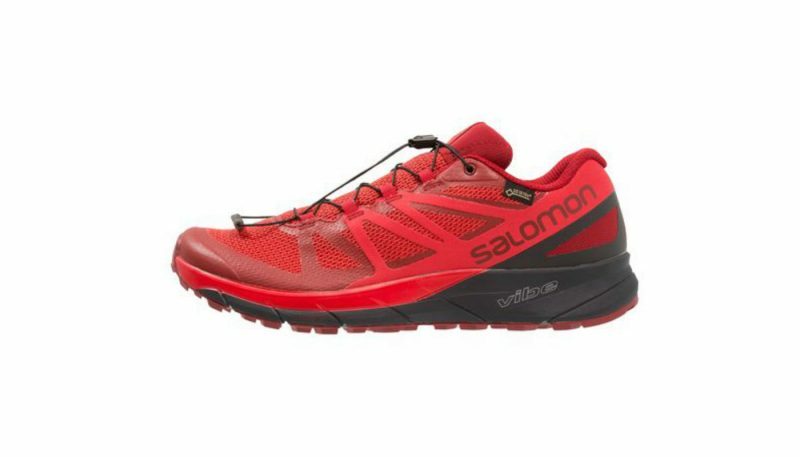 A mountain runner in Colorado may be a perfect match for the Salomon Sense Ride GTX. 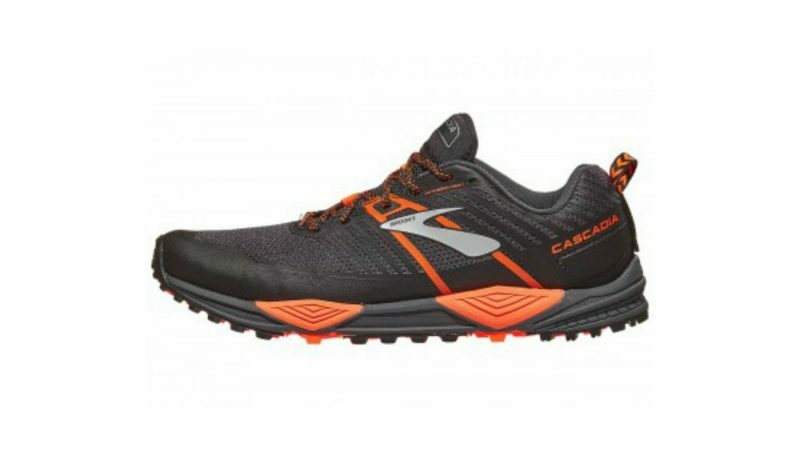 Someone tackling a gently-rolling 100-miler on Wisconsin’s Ice Age Trail may find that the Brooks Cascadia 13 has exactly the comfortable, plush ride they need. 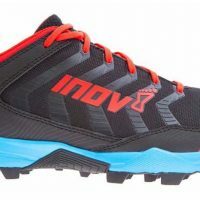 A runner who wants a dual-duty shoe for fast hiking and backpacking should absolutely look at the Inov-8 RocLite 320 GTX or Altra Lone Peak 4.0. 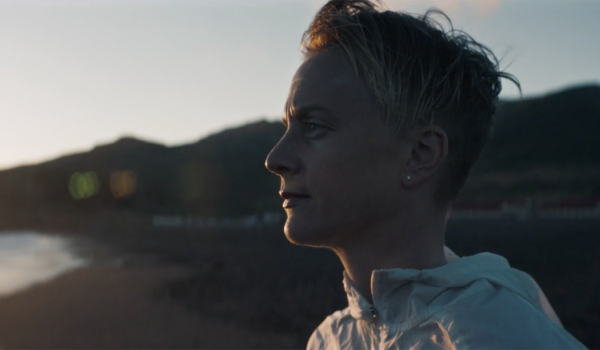 There’s a standout feature in every single shoe we tested, and our collective assessment is meant to be a starting point and guidepost, not a final determination or universal conclusion. 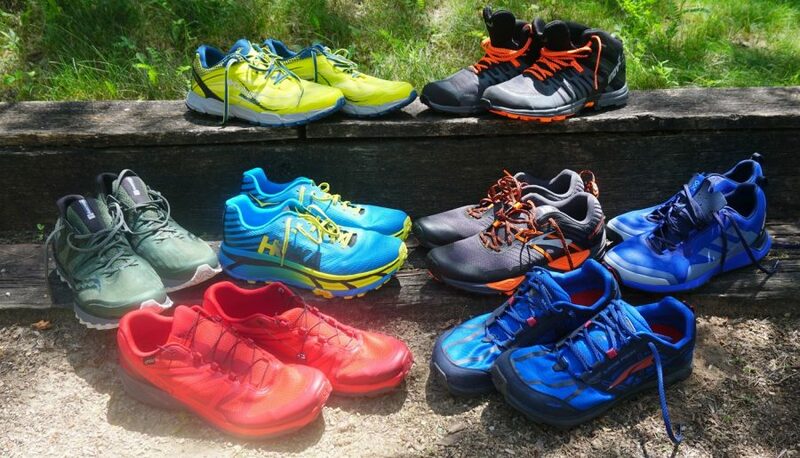 All eight shoes in this round of testing, waiting to head out the door to the trails. 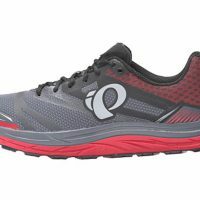 Each member of the wear-test team individually evaluates each model on six different criteria: (1) comfort, which involves overall fit and cushioning, (2) speed, which is how nimble and quick the shoe feels at pace, (3) security of fit, which involves how locked-in and stable the foot feels when the shoe is laced up, (4) agility, which is related to the shoe’s traction across a range of different surfaces, (5) responsiveness, which involves the shoe’s energy return and whether it feels snappy or sluggish, and (6) protection, which is how well the shoe’s technical features protect the foot from trail obstacles.